Abra a Mac App Store para comprar e baixar apps. 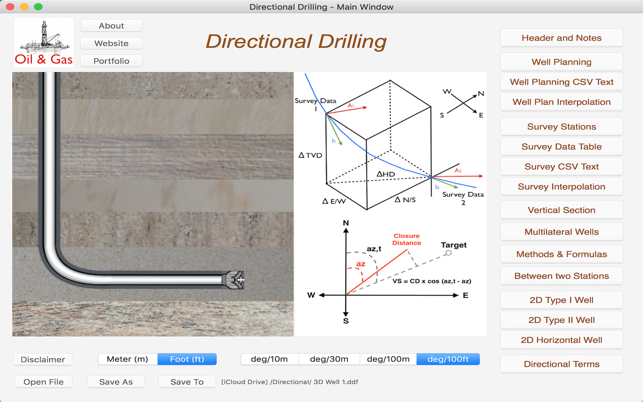 The Directional Drilling Survey provides the control of directional drilling of oil wells with calculations and plotting of well planning and survey data in vertical section, plan and x-y-z views, calculations between two survey stations, easy tools to 2D and 3D wells and plot multilateral wells. Please, before you buy, make sure this app will be useful to you. Visit our website and check the "User Guide". 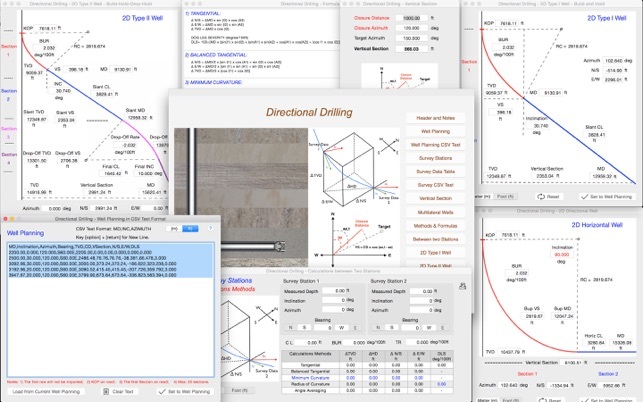 This app was developed based in existing spreadsheets. There is no comparison with any other software. 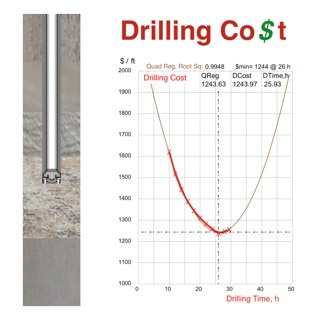 Our goal was to create a very low-cost application with the help of experts to share with drilling engineers, technicians, drillers, students and teachers of drilling engineering. 9. Vertical Section View, Plan View and X-Y-Z plotting. 10. Ability to Multilateral wells plotting limited to 6 wells. 11. Easy tool to create 2D Wells (Type I, II and Horizontal). 12. 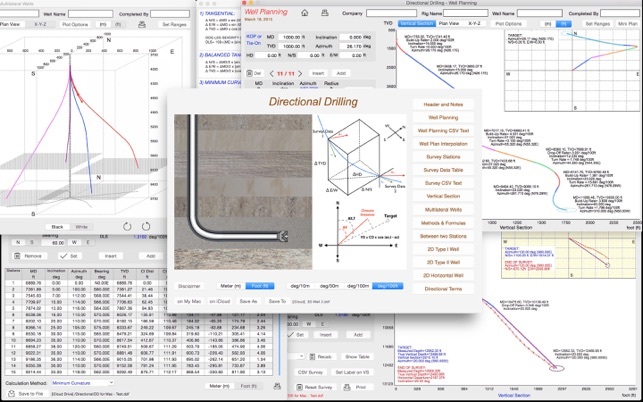 Easy tool to calculate 3D sections on well planning. 13. Sharing data files via email, iCloud Drive, etc. 21. 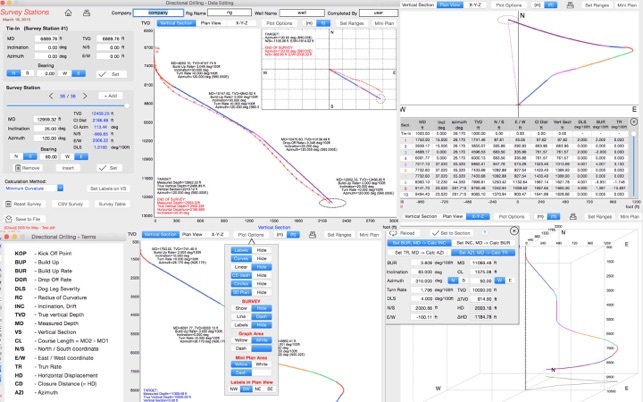 Ability to resize views and to set fullscreen graphs in high-resolution. These tools & materials are provided 'as is' without warranties of any kind, express or implied. Please verify the tools provided by this application by yourself before you use them. 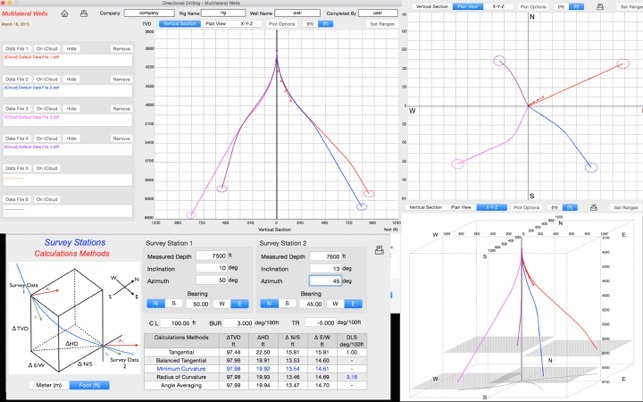 Ensure you understand the impact of using these tools. Any use you choose to make of these tools & materials is undertaken by you entirely at you own risk. The current version is completely unusable. I cannot open the well planning window, I cannot save files… I tried to disinstall and reinstall, to no avail. It says the User Guide is available for download, but this is only for iPhone or iPad versions. Please fix!! Seems like a fairly straight forward program that does what is needed. Would be great to have an instruction tab to give you some hints on how it works and any shortcuts available. You need to add an import feature, ASAP. Manually entering all surveys is kinda silly (Import MD, Inc, & Az I would definetly use it more to double check all my rig info if I could have that.! © Copyright (c) 2011 Carlos Moura, All rights reserved.